The Guru Smt.Geetha Saraswathy, a student of Guru Smt.Lakshmikantham of Tanjore & Guru Shri.Govindharaja Pillai of Engann in 1954. 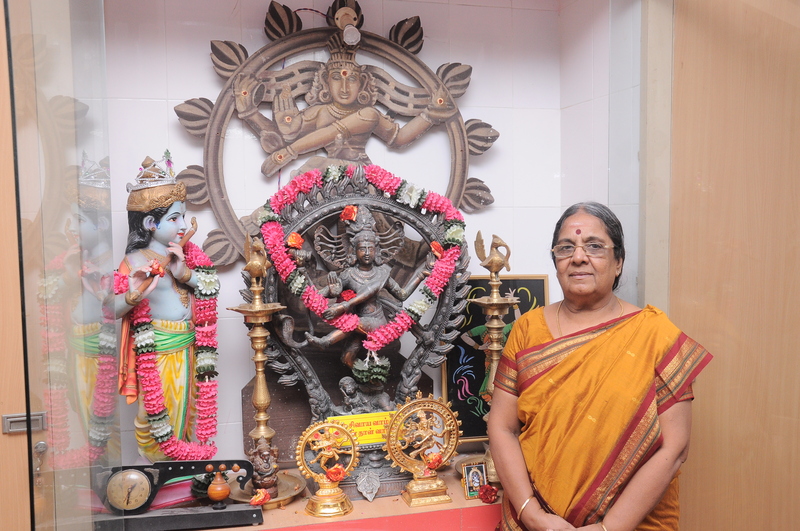 She started her career as Bharatanatyam dancer at the age of 3 and her parents encouraged her to pursue in her interest in learning Bharatanatyam. She did many solo, group performances and dance dramas throughout South India. She also choreographed & performed in chitra arjuna’s play of Ravindranath Tagore, penned by cine fame Kavingar Shri.Marudhakasi. 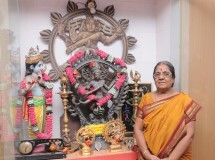 She started the dance school Geethalayam in the year 1971. Many students learned Bharatanatyam & did their salagai pooja, arangetrams and many school students continue to do solo perfomances around the world. Smt.Geetha Saraswathy is the proud winner of Abinaya Award at the famous nirithiya kala mahanadu at chennai in the year 1964. Bharatanatyam is a reworked dance-form from the traditional "sadir" known for its grace, purity, tenderness, and sculpturesque poses. Today, it is one of the most popular and widely performed dance styles and is practiced by male and female dancers all over the world.